Watched Fort Apache last night…have seen it a few times but not in a while. What took me this time for some reason was Shirley Temple. She got hosed on the movie career as an adult. She has a screen presence and unlike many child stars was quite the looker as well as she got older. I guess people at the time couldnt get over child Shirley. IMHO, Shirley Temple’s role was quite juvenile in that movie too, more 12-year than 22-year old, only thing missing was a lollipop. What a charmer…ugh think Im in the wrong forum. Thought I would try it anyway. Have fun. Finally got to sit down and watch Una Nuvola di Polvere….un Grido di Morte….Arriva Sartana (A Cloud of Dust….A Cry of Death….Sartana is Coming/Light the Fuse….Sartana is Coming) this afternoon. Very good, not as good as the first four, but still entertaining. Gianni Garko, Nieves Navarro, Piero Lulli and Jose Jaspe all did fine jobs in their roles. Will have a review tomorrow on my blog. John Wayne didn’t have many film-daughters. The girl that James Caan was hot for in El Dorado was, I thought. But IMDB has her character listed under another last-name from Wayne’s. Stephanie Powers in McLintock doesn’t count. Watched Oggi a Me…Domani a Te! yesterday and was very entertained by it. Tatsuya Nakadai gave a very impressive villainous performance. This was broadcasted on a Geman network some weeks ago (Arte) so it was German dubbed. Altought I am Dutch myself, I got used to watch German dubbed movies. When I grew up this was the only apternative that could be watched with an antenna . We were one of the first with a Video player, when I was about 16 years old. I liked it as a nice flick for passing some time. Did not expect much and that was a good interpretation of what was shown. Things got along too easily to be any serious at all. Well, sometimes I find those movies fun to watch. When I was a kid my father would get me out of bed for such movies. He would sneak into movie theatres and watch them with red ears. 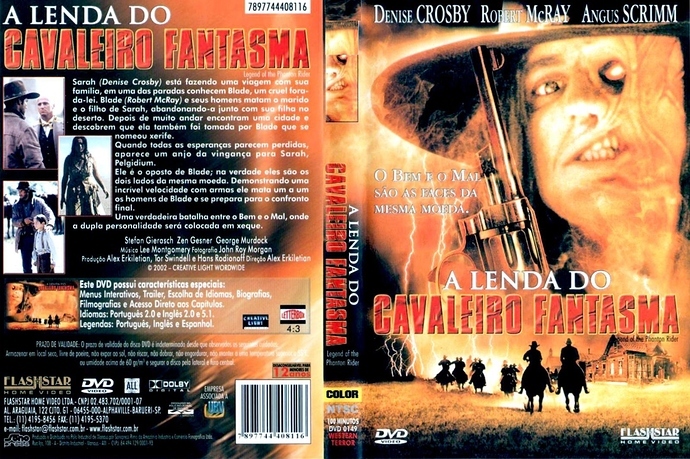 Legend Of The Phantom Rider (2002) - labeling says it’s a fantasy horror western. Not many of this kind out there, and as far as i know, they are mostly rubbish. My expectations were low. I couldn’t decide whether the movie is actually good or bad until near the end - there’s a lot of well directed gunplay some A-grade westerns can only dream of, and since almost whole movie contains of these well handled shootouts, it somehow confusing to notice it is just a shallow genre entry. Yes, it’s quite jonahhexian - but the disfigured gunslinger in the movie is displayed only very sparsely. Yeah I liked it alot! Just finished up my Blu Ray of Black Jack, and thought it was very well made. I liked it, but a couple more viewings may have me loving it. Certainly dark like everyone has commented it to be, but luckily I wasn’t left depressed afterwards. Robert Woods gives an excellent and edgy performance as the title character. I’ll be doing a write up of it for my blog and I’ll have the link for it on the Database page for it soon. Funny enough, I also rewatched Black Jack few days ago. While on the first viewing about five years ago I was only slightly disappointed, this time I didn’t like it at all. Watched La Morte non Conti i Dollari (The Dead Don’t Count the Dollars/Death at Owell Rocks) this afternoon and was thoroughly entertained and impressed, really liked the twist towards the end. 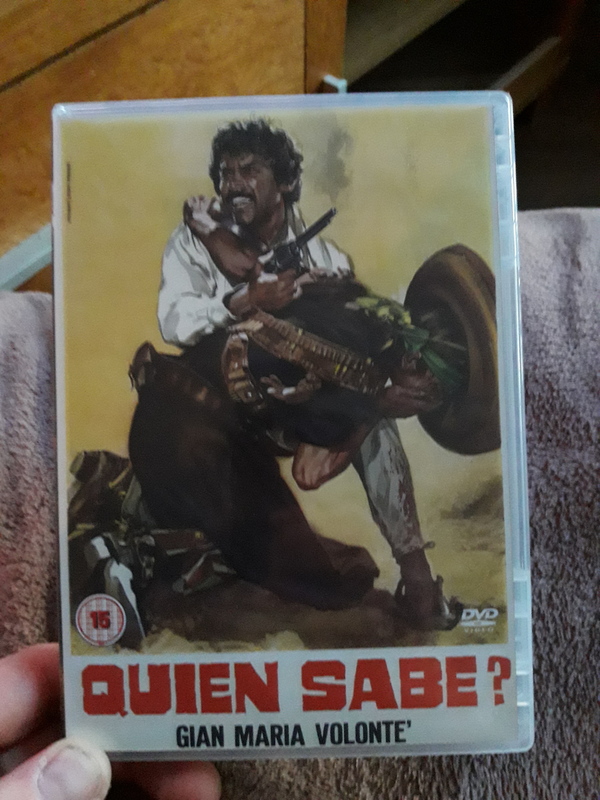 I get that most people overlook it because it takes more from American Westerns that its predecessors of the genre, but its still got the Italian flavor to it.